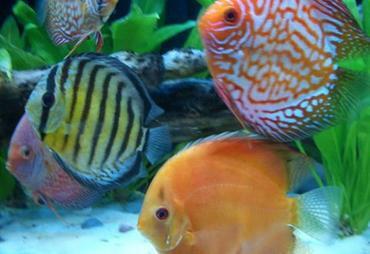 Unexpected behavioral changes are often a symptom of disease in aquarium fish. 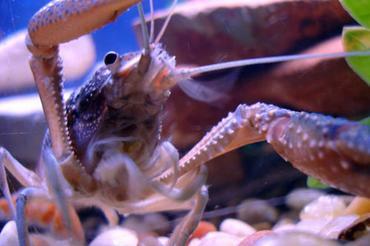 Learn about the most common changes and what to do about them. 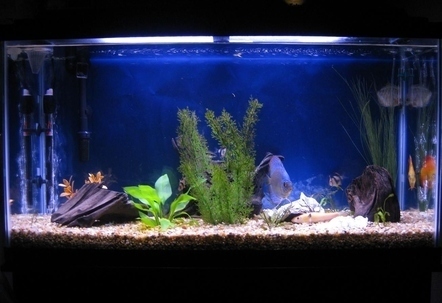 If you are a dedicated aquarium hobbyist, you probably spend a few minutes each day just watching your fish swim around the tank, either to make sure they are in good health or simply to enjoy your accomplishment as an aquarium hobbyist. 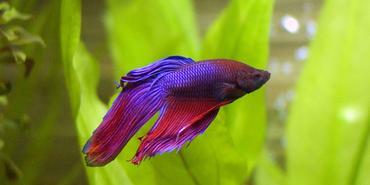 The more familiar you are with the normal appearance and activity of your fish, the sooner you are likely to notice when one or more of your tank inhabitants begins to display abnormal behavior. 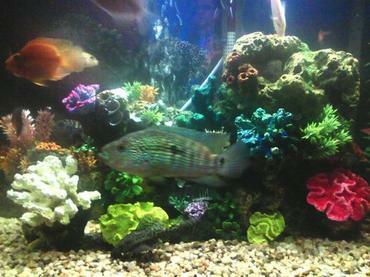 Abnormal behaviors such as loss of appetite, difficulty swimming and rubbing against tank objects are often symptoms of disease and they should not be ignored – as soon as you notice your fish displaying behavioral changes it is imperative that you take action to determine the cause of those changes. 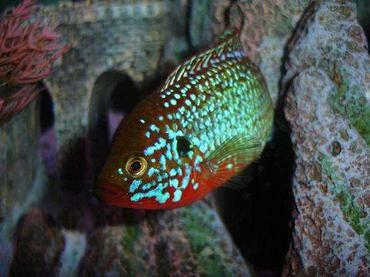 Once you identify the cause for the abnormal behavior of your fish you can take the necessary steps to treat them. 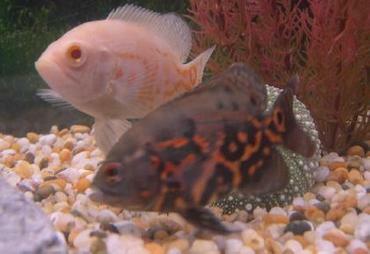 The sooner you seek treatment for your fish, the more likely they are to make a full recovery. 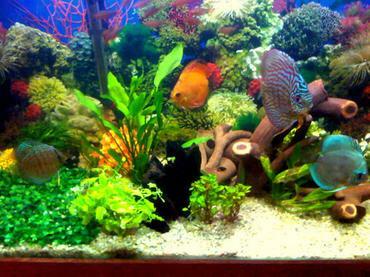 It is not uncommon for aquarium fish to experience a change in appetite once in a while but if that change begins to affect the health and wellness of your fish, you may need to step in. 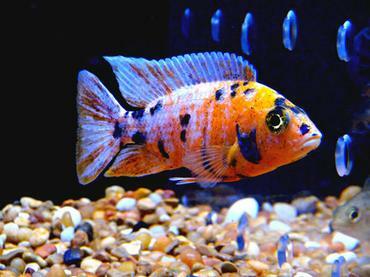 Loss of appetite is commonly a symptom of disease in aquarium fish so if you notice this change in behavior you should spend a few minutes observing your fish for other symptoms to help you identify the illness from which your fish may be suffering. 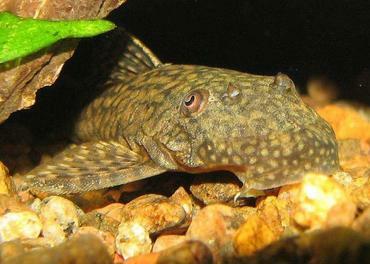 In some cases, fish may stop eating simply because they are bored with their diet – some species are notoriously picky eaters and may refuse to eat if they are not offered a varied diet. 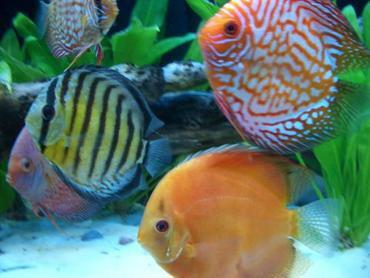 This is a very common problem among saltwater aquarium fish, especially wild-caught specimens, because they are used to eating a widely varied live food diet. 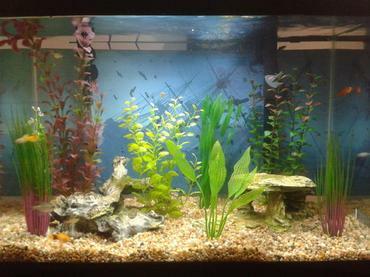 To remedy this problem, try offering your fish a staple diet of a high-quality commercial flake or pellet food supplemented several times a week with various live food, frozen and freeze-dried foods. 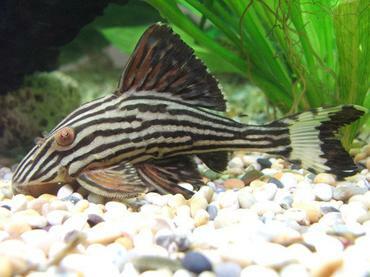 Adding to the variety of your fish’s diet may be what they need to improve their appetite. 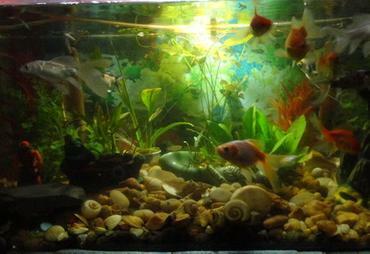 Another option is garlic supplements. 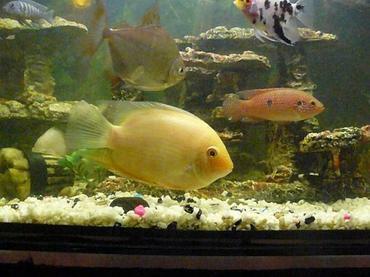 Though there is not a great deal of concrete evidence to support this idea, there is some support in the aquarium trade for using garlic supplements as an appetite enhancer in aquarium fish. 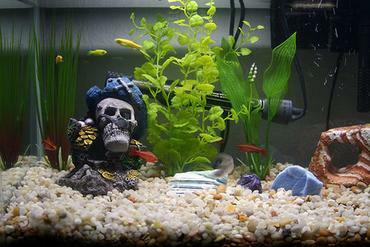 If you suspect that your fish are healthy and they just need a little encouragement to begin eating again try offering them a garlic supplement in addition to your live and frozen foods. 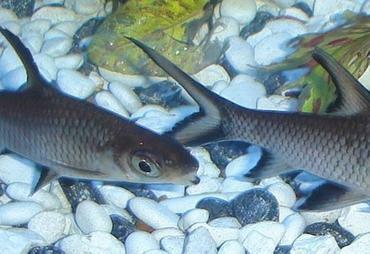 If your fish are having difficulty swimming, it is most likely due to an illness or injury. 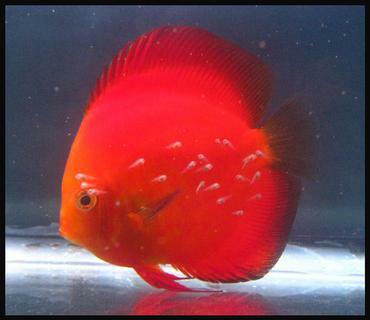 Take a moment to observe your fish for physical signs of injury or illness to determine the cause of their abnormal swimming behavior. 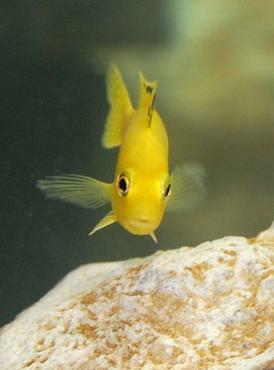 Examine the fins of your fish – if they appear torn or ragged, it is possible that your fish is suffering from a bacterial or fungal infection or that one of the other fish in your tank has been aggressive. 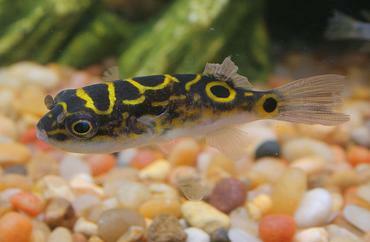 Do some research using the symptoms you notice in your fish to determine which disease is affecting them and what the best treatment might be. 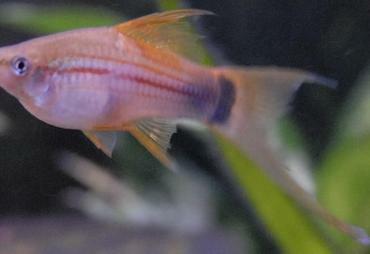 If the fins of your fish appear to be in good shape, look for other symptoms of disease. 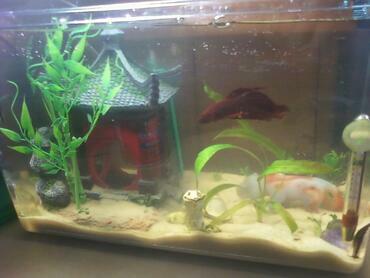 Is the body of the fish swollen? 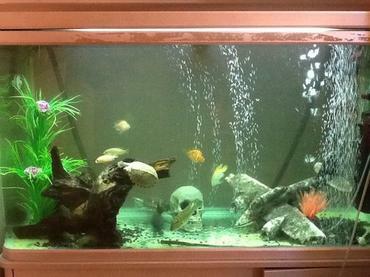 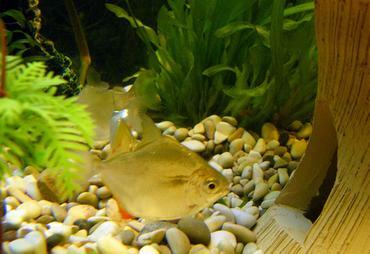 Does the fish appear to be having difficulty staying submerged? 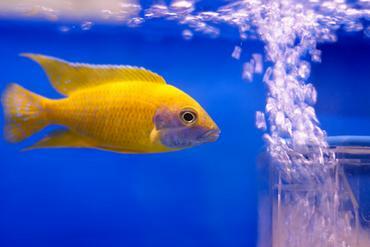 If the answer to either of these questions is “Yes” then your fish might be suffering from dropsy or a swim bladder infection. 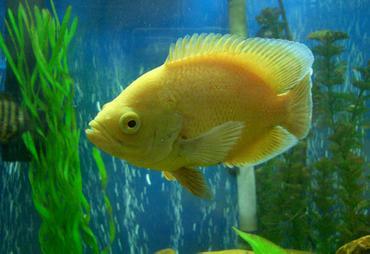 Dropsy is typically a symptom of disease rather than a solitary condition and it can be fatal in fish. 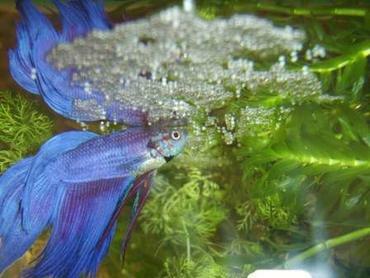 A swim bladder infection can sometimes be treated with a salt bath, though it may depend how advanced the infection is. 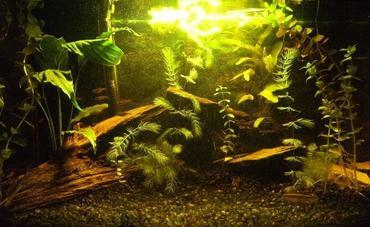 In most cases, increasing the water quality in your tank will be enough to solve this kind of problem. 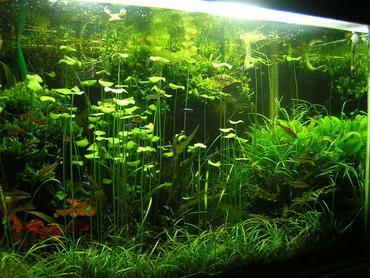 Perform a large water change to improve water quality and then maintain regular water changes to keep the water quality in your tank high. 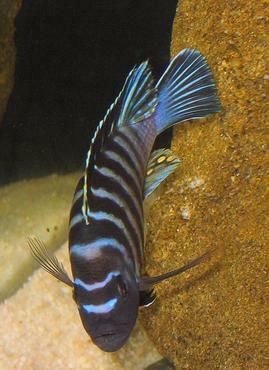 Certain species of fish are known to spend more time than others near the surface of the tank while others prefer the mid-level or even bottom of the tank. 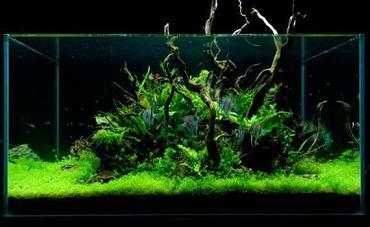 If, however, your fish begin to spend an abnormal amount of time near the surface of the tank you might want to take a few minutes to consider why. 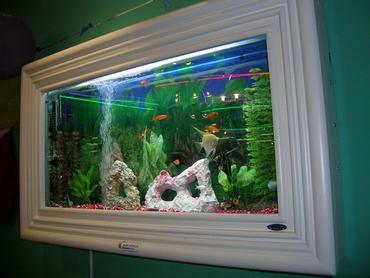 One of the most common reasons fish begin hovering near the tank surface is that they are seeking oxygen – oxygen levels in the aquarium are typically the highest near the surface of the water so if the oxygen level in your tank water is too low, your fish may begin to seek oxygen from the surface. 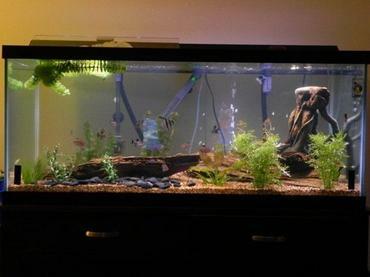 If you suspect this to be the case, try performing a water change to refresh the water in your tank and make sure your filter media has been changed within the last three weeks. 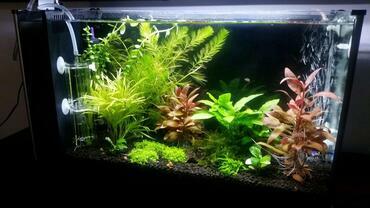 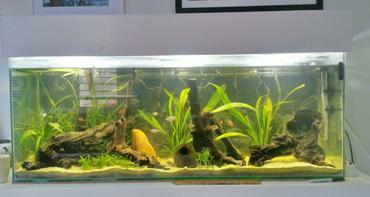 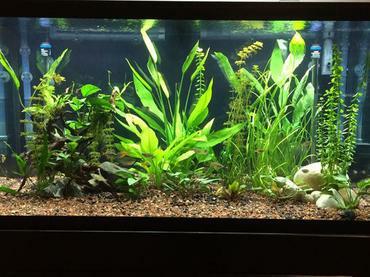 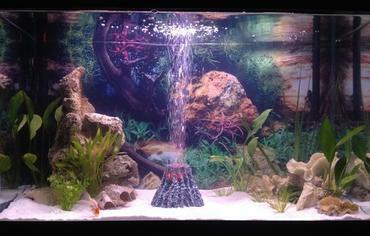 Adding some live plants to your tank will also help to increase the oxygen content of your tank water. 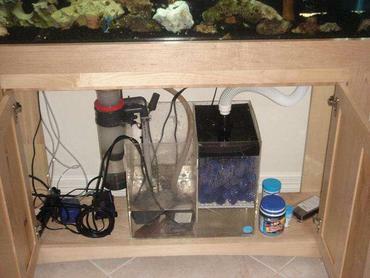 A third option is to increase the filtration in your tank and to make sure that your filter offers both mechanical and chemical filtration to ensure that your water is clean and clear. 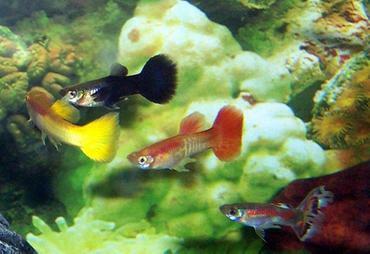 There are several reasons why your fish might suddenly begin swimming quickly around the tank, but the two most likely reasons have to do with water quality and breeding. 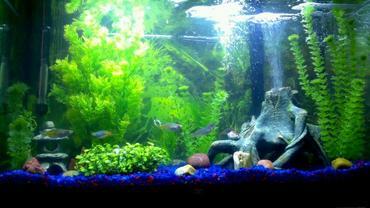 When the water quality in your tank drops below acceptable levels, your fish are likely to become stressed and they may react to that stress by exhibiting abnormal behaviors such as swimming quickly or erratically around the tank. 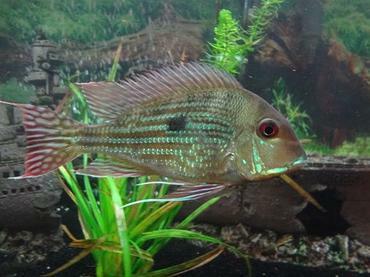 If you notice this behavior in your fish, the first thing you should do is perform an aquarium water test to make sure your water parameters are still in line. 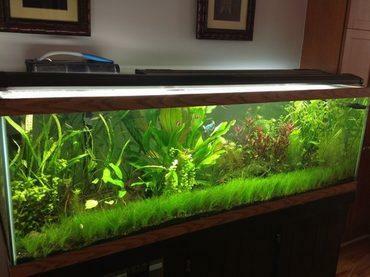 If you notice problems with your water chemistry, you might just need to perform a water change. 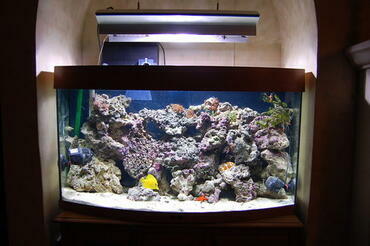 In some cases, you might have to take additional steps to correct problems with water chemistry. 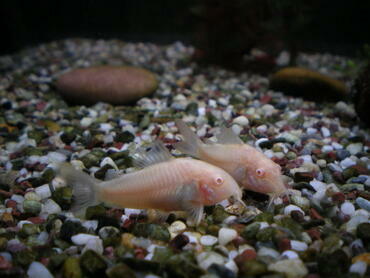 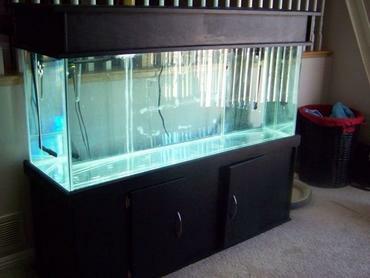 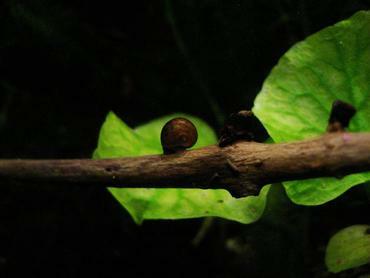 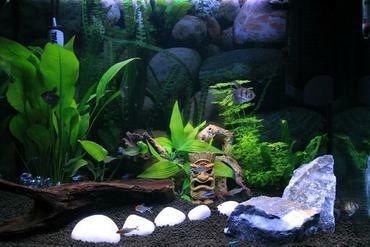 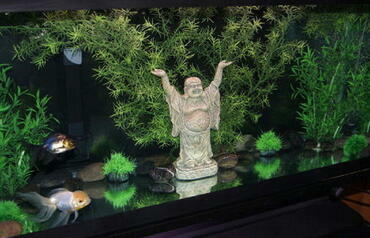 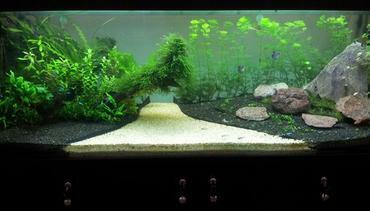 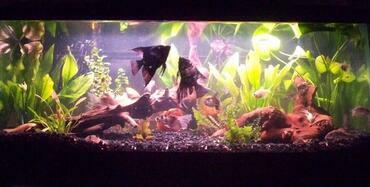 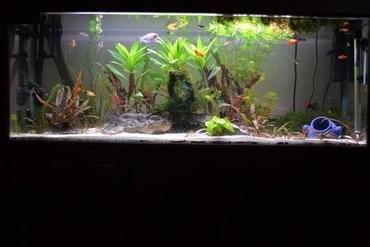 If the parameters in your tank are fine, you can move on to considering the second possibility – breeding. 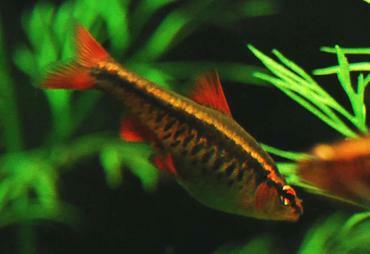 Some species of fish, particularly cyprinids like barbs and loaches, spawn in groups – during the spawning process it is not uncommon for the male(s) of the group to be seen chasing the female(s) around the tank. 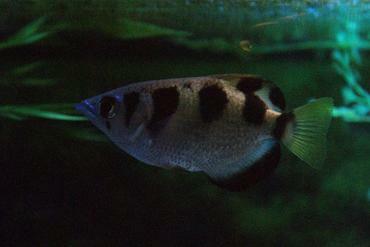 While swimming quickly around the tank, the female typically releases her burden of eggs, scattering them across the substrate, while the male releases his sperm, fertilizing the eggs as he passes by. 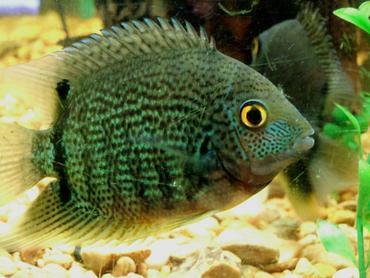 Watch your fish closely for a moment or two to determine whether or not their erratic behavior might be due to spawning. 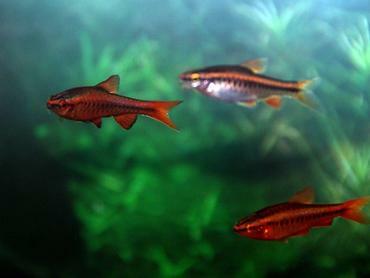 If it is, you have nothing to worry about – your fish should return to normal after they finish spawning. 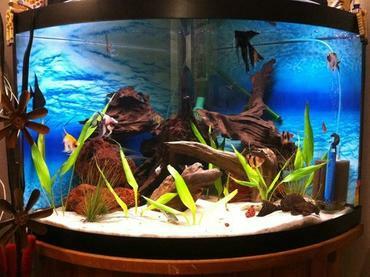 If you plan to keep a community tank, you should be prepared to experience some fighting among the fish in your tank at one point or another, especially if you plan to mix community species with semi-aggressive species of fish. 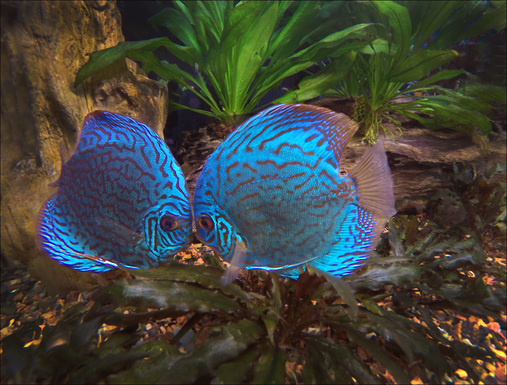 Some species are naturally more aggressive and territorial than others and, if they do not have adequate space in the tank or if they feel that their perceived territory is being threatened, they may antagonize their tank mates. 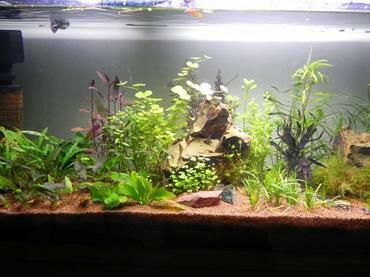 The first step in dealing with this problem is to ensure that your tank is large enough – if your tank is overcrowded, there is little you can do aside from upgrading to a larger tank or removing some of the fish. 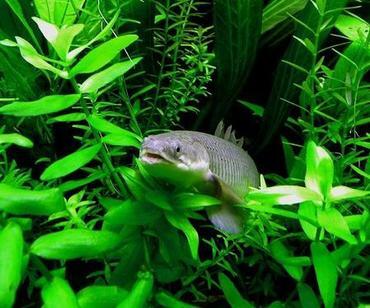 Another trick you might try is to add some more live plants or decorations to provide hiding places and to break up the line of sign in your tank – this may help to put aggressive fish at ease. 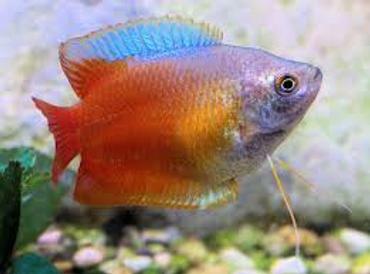 You should also be sure that you do not keep more than one male of semi-aggressive species like Gouramis in the same tank – even fish that are typically peaceful may become aggressive and territorial in the presence of rival males. 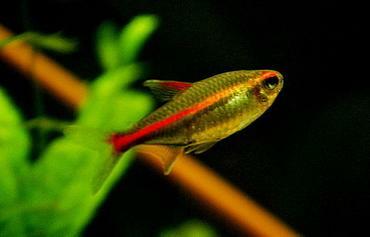 If you have schooling species in your tank, like barbs or tetras, make sure you have at least 5 or 6 of each species in the school – this will help to reduce non species-specific aggression. 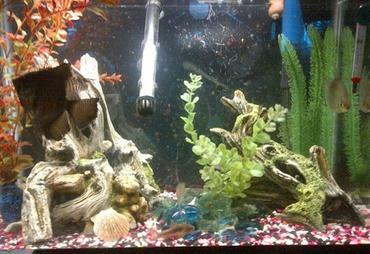 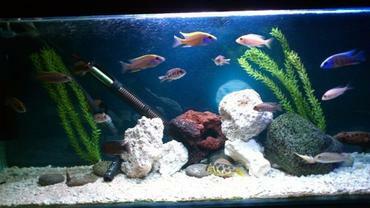 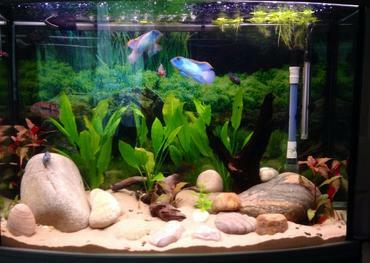 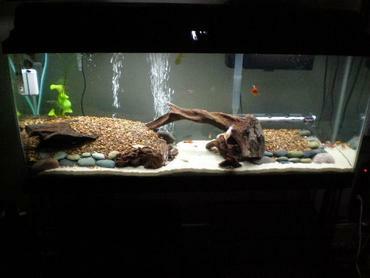 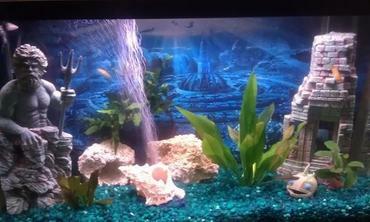 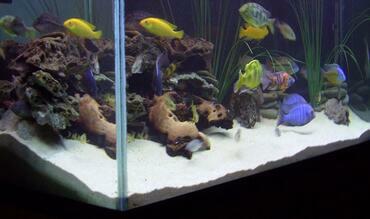 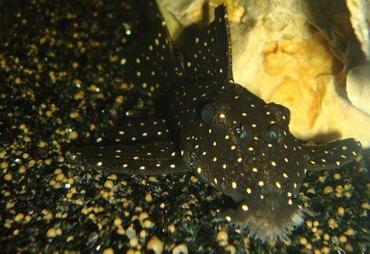 Some fish simply make a habit of digging around in the substrate and rearranging tank objects. 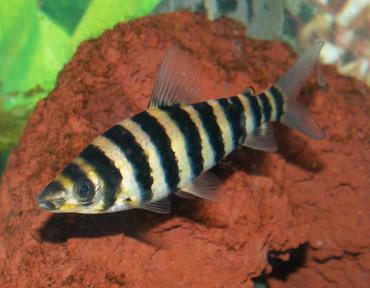 Certain species of fish, particularly loaches and other bottom feeders, sift their food from tank substrate so it may look like they are just digging around when they are actually looking for food. 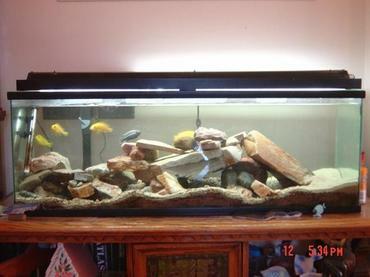 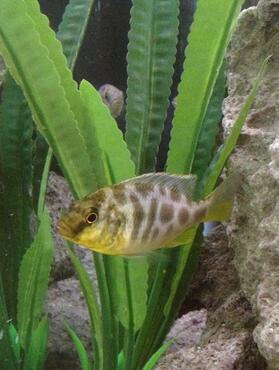 Other species, particularly cichlids, have a tendency to rearrange their tank, shoving decorations around and uprooting live plants. 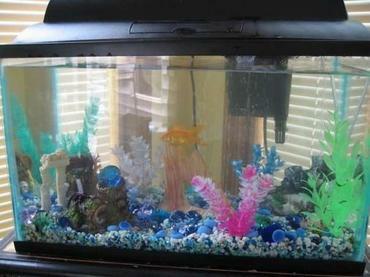 This kind of behavior is natural and it should not concern you unless it poses a danger to your fish. 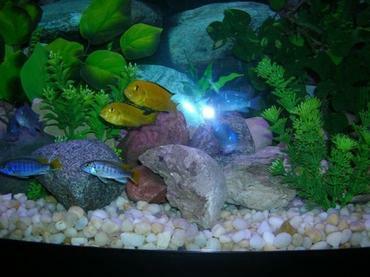 If your fish begin to exhibit this type of behavior make sure to remove any objects from the tank that have sharp or pointed edges that could injure your fish. 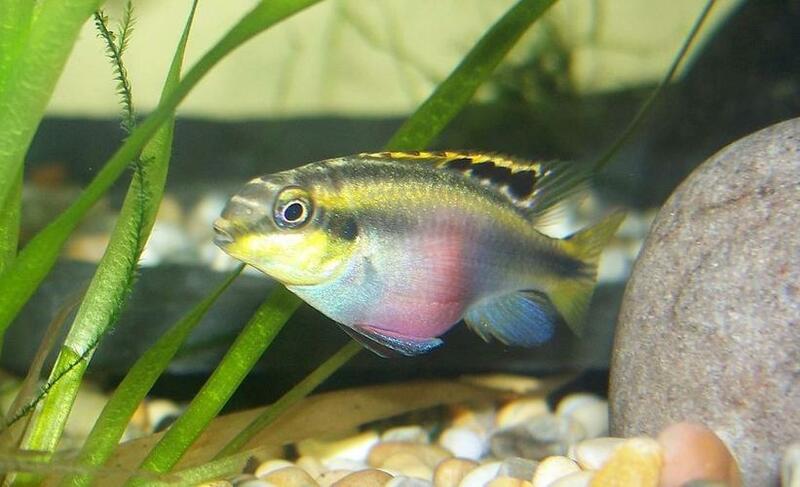 If your fish suddenly develop this kind of behavior it may be an indication of stress and you should check your tank parameters to make sure they are in balance. 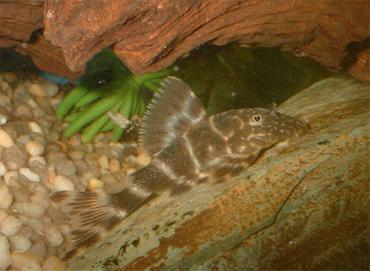 It is not uncommon for fish in a community tank to display a little bit of fin-nipping behavior but there are times when it can become a problem. 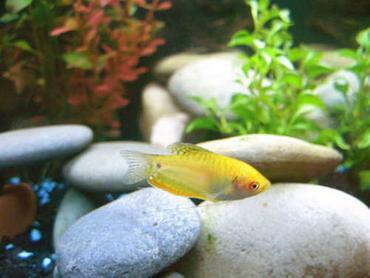 If one fish in your tank is taking the brunt of it, it could have serious consequences. Repeated fin-nipping can result in permanent damage to the fins and may also lead to secondary infections including fin rot. 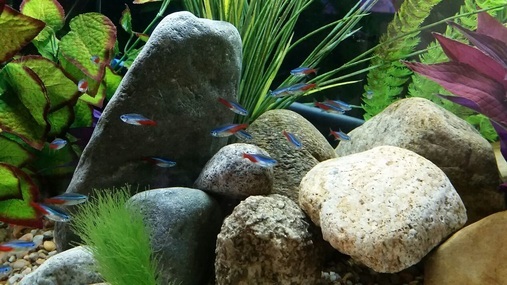 While many species of fish can get along perfectly fine in a community tank, some are particularly inclined to fin-nipping – some of these species include serape tetras, cherry barbs, danios and other cyprinids. 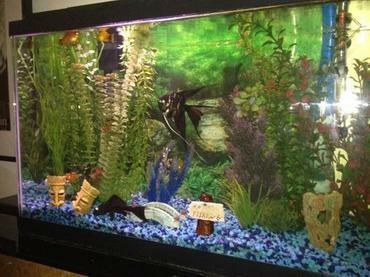 If you plan to keep fin-nipping species of fish in your community tank you should avoid keeping them with long-finned species like angelfish and betta fish because these species are likely to be targeted. 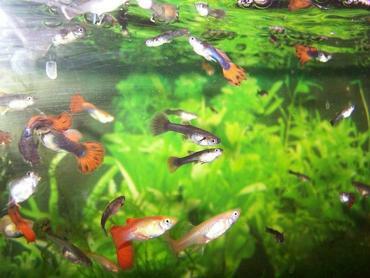 In some cases, keeping your fin-nipping species in a large school can help to prevent the fin-nipping behavior from being directed toward other fish in the tank. 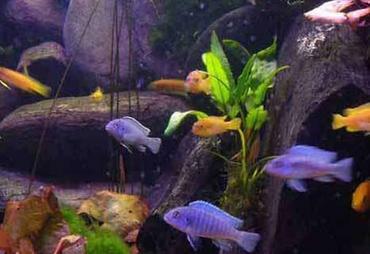 This is why you should keep at least 5 or 6 of each schooling species together in your tank – it will help to keep them from showing aggression toward other species and it will minimize same-species aggression as well. 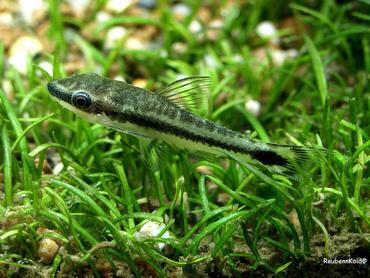 Some species of fish are naturally more shy than others so it is not necessarily something to worry about if you notice one or more of your fish spending a great deal of time hiding in the tank. 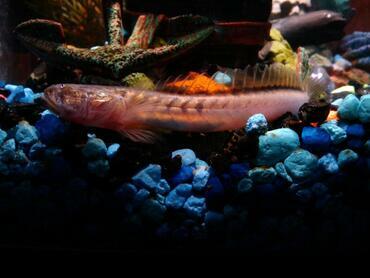 You must consider that some fish are nocturnal – while they may appear to be hiding during the day, they could actually be quite active at night after you turn out the lights. 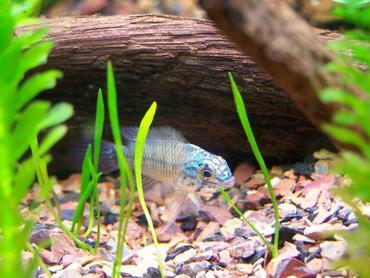 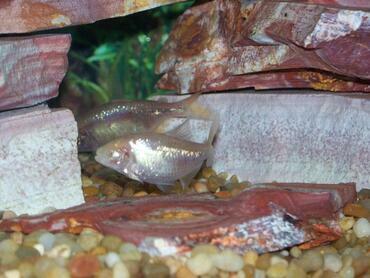 If your fish suddenly develop a tendency to hide, however, it could be an indication of a problem in your tank. 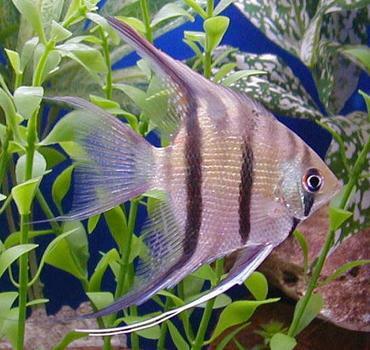 Keep an eye on your fish over the course of several days to see whether one of the fish in your tank is antagonizing the others – aggressive fish can cause a great deal of stress for their tank mates and could cause them to seek refuge in the form of hiding places. 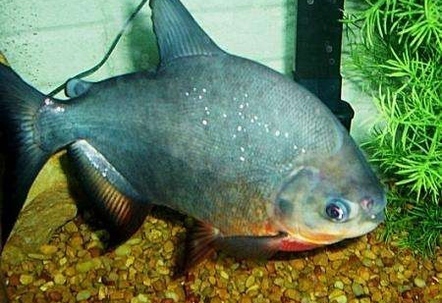 To deal with this problem you may need to remove the aggressive fish from your tank or install a tank divider to keep it from harming your other fish. 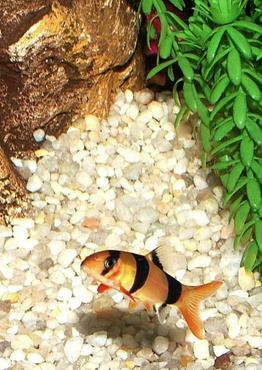 If one or more of your fish that are usually active in the tank becomes lethargic, it is probably a sign that the fish is sick. 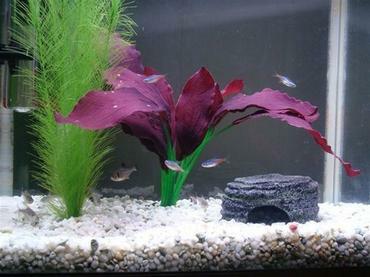 You might notice the fish spending more time at the bottom of the tank or lolling against the wall rather than swimming in the middle of the tank. 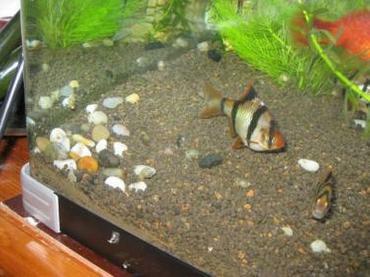 If you notice this kind of behavior (especially if it is affecting multiple fish), test your tank water to see if it might be a problem with water quality. 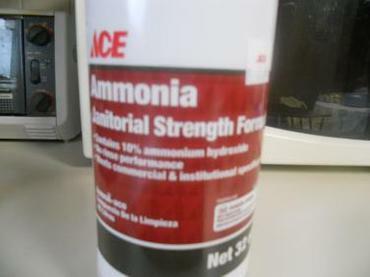 Ammonia poisoning, for example, can cause aquarium fish to become lethargic – so can parasitic infections and nutritional deficiencies. 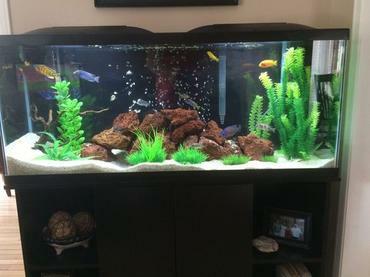 When you perform the water test, check your pH balance as well as ammonia and nitrite levels. 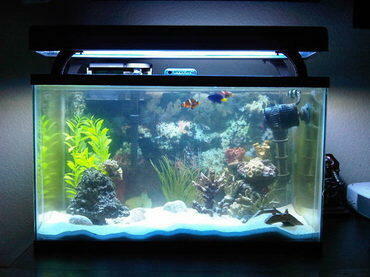 You might also want to check your tank temperature because if the water in your tank gets too cold, your fish might be suffering from low temperature. 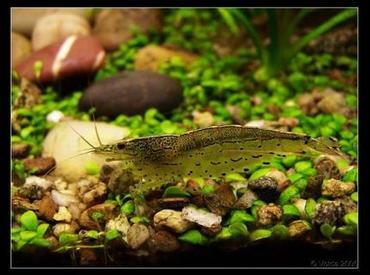 Keep in mind that lethargic fish do not always spend time at the bottom of the tank – they could be floating near the tank surface or hiding among live plants as well. 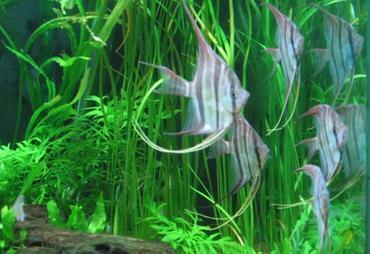 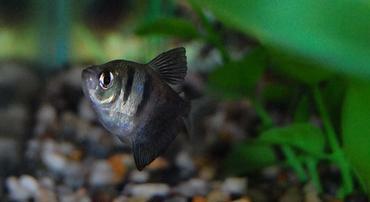 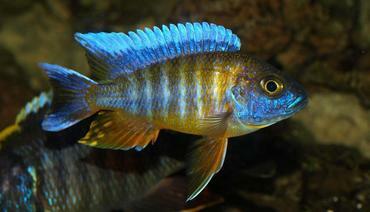 Another change in behavior you might see in your aquarium fish is rapid gill movement. 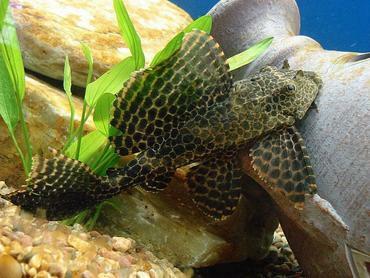 The gills of your fish are in constant motion as the fish breathe, but it could be a sign of illness if the gill movement becomes much faster than usual. 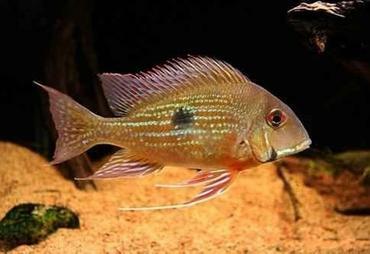 Rapid gill movement can be a general indication of stress or it might point to a particular disease like flukes, mites, or Ich. 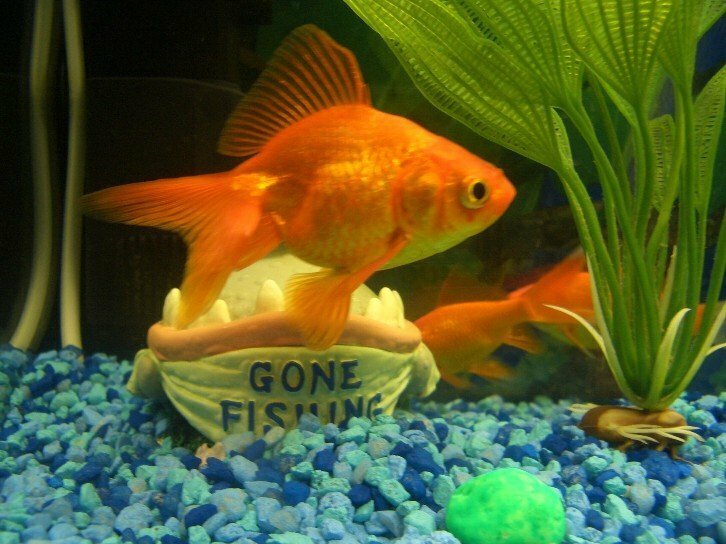 If the gills of your fish also appear to be inflamed, it is probably some kind of disease and you need to take immediate action before the gills become so damaged that your fish can no longer breathe. 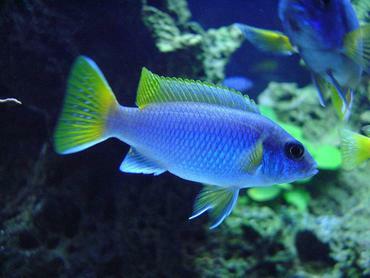 Take a moment to observe your fish for other symptoms of disease and perform an aquarium water test to check for problems with water quality. 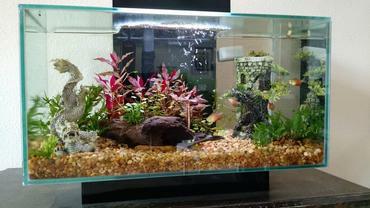 Even if the results of the water test appear to be fine, performing a water change is never a bad idea. 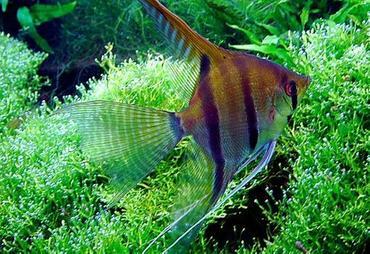 When you notice a change in the behavior of your aquarium fish you should not ignore it – the longer you allow the problem to go untreated, the more serious it is likely to become. 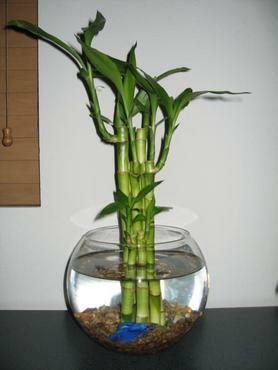 In some cases, behavioral changes may simply be the result of stress but you do not want to risk the possibility of letting a serious disease go untreated. 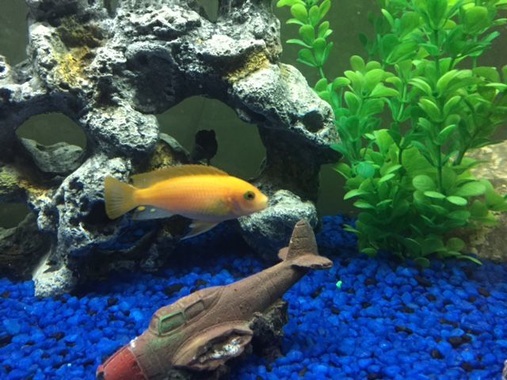 If you take the time to observe your fish for just a few minutes each day you will become familiar with their habits and behaviors so you will be more likely to notice when they begin to exhibit behavioral changes.